Around the corner from the Andrew Csafordi Studio Gallery and Love Nest Studio Gallery is The Inn at Huff Estates Winery. Huff Estates Winery opened in June of 2004. 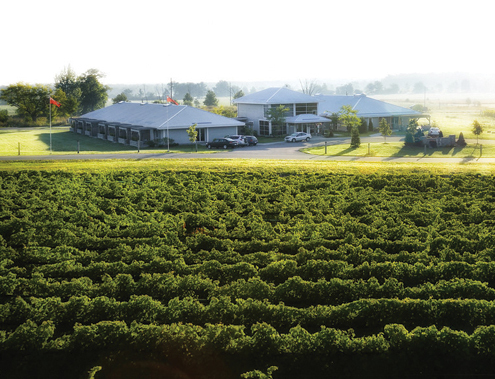 This modern facility was constructed with one thing in mind, producing high quality wines. Huff's state-of-the-art facility has the grape processing area and fermentation tanks sitting on top of a hill allowing for a natural gravity flow into a temperature controlled barrel cellar below which sits just behind the tasting room. Complete with a moat-surrounded patio, kitchen for light lunches, floor to ceiling windows and even a heli-pad, this is unlike any other winery in the area and offers a unique experience for all. All rooms feature a private pergola patio for guests to relax and enjoy the beautiful scenery. For reservations, call The Inn at Huff Estates at 1-888-4844667 or visit www.huffestates.com. and all month July & Aug. Walk to unique shops, artists' studios, cafes and restaurants in the village of Bloomfield. See www.bloomfieldontario.ca. Visit the www.prince-edward-county.com site for local events and activities. Home of Island Forge Gallery, featuring exceptional hand-forged items for home and garden made onsite by artist-blacksmith Bruce Milan. ​For reservations, visit http://www.bbcanada.com/625.html or call (613) 393-2952. Owners: Diane & Bruce Milan. Relax, revive your spirits, savour life. Elegant suites in historic Century home and cozy guest suites with ensuite bathrooms in adjacent building. Angeline's is a small family run Inn that has been in business for over 25 years. They have 16 rooms on site each designed by their in-house designer. Their new dining venture, The Hubb Eatery and Lounge is entering its second year and is going strong. Walking distance to village shops. For reservations, visit www.angelines.ca or call (613) 393-3301. Owners: Alex and Melanie Fida. 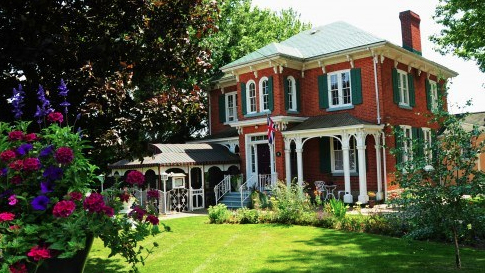 Rated 'One of the best B&B's in Ontario' by author / critic Janette Higgins. 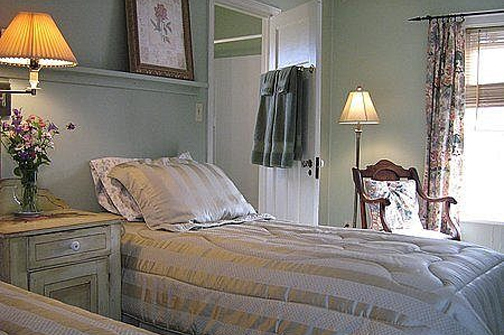 Enjoy tastefully decorated bedrooms and rest areas. Located within walking distance to local shops, tea rooms and restaurants, artist studios, and minutes drive to wineries and Sandbanks Provincial Park. Private guest dining, sitting area with TV and upstairs hospitality area with small fridge and tea bar provided for your enjoyment and comfort. Adult, air conditioned, pet and smoke free environment. Wireless Internet Access. Gourmet breakfast served in comfortable and attractive dining area. Rent bicycles nearby; swim, hike and picnic at Sandbanks, golf, visit wineries, antique shops, browse through local shops and artist studios and enjoy a relaxing vacation in The County. For reservations, visit: http://www.bbcanada.com/10213.html or call (613) 393-3371. Owners: Harold (Sonny) and Jane Stevens.